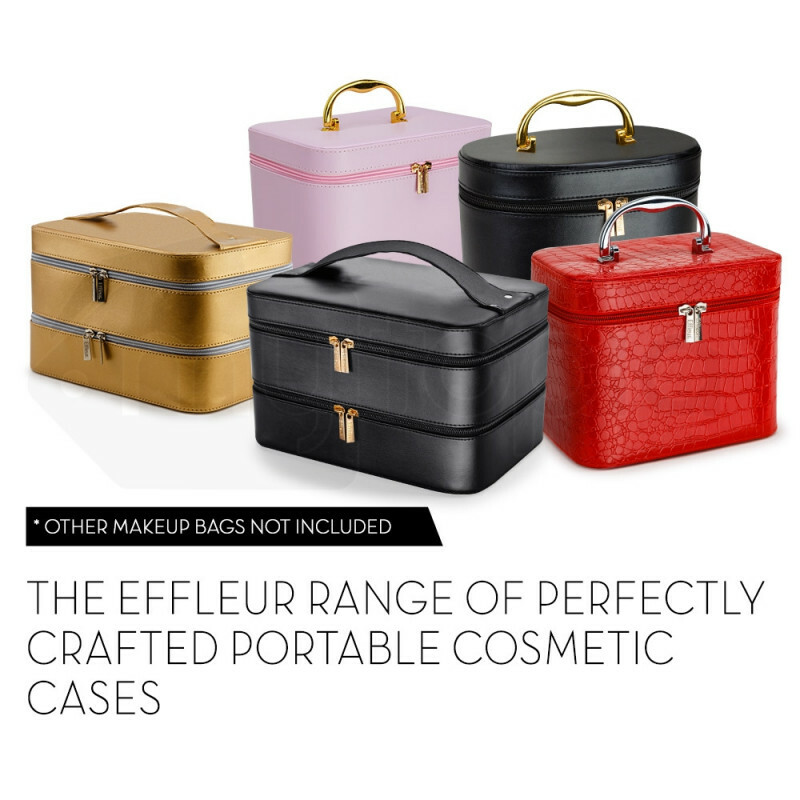 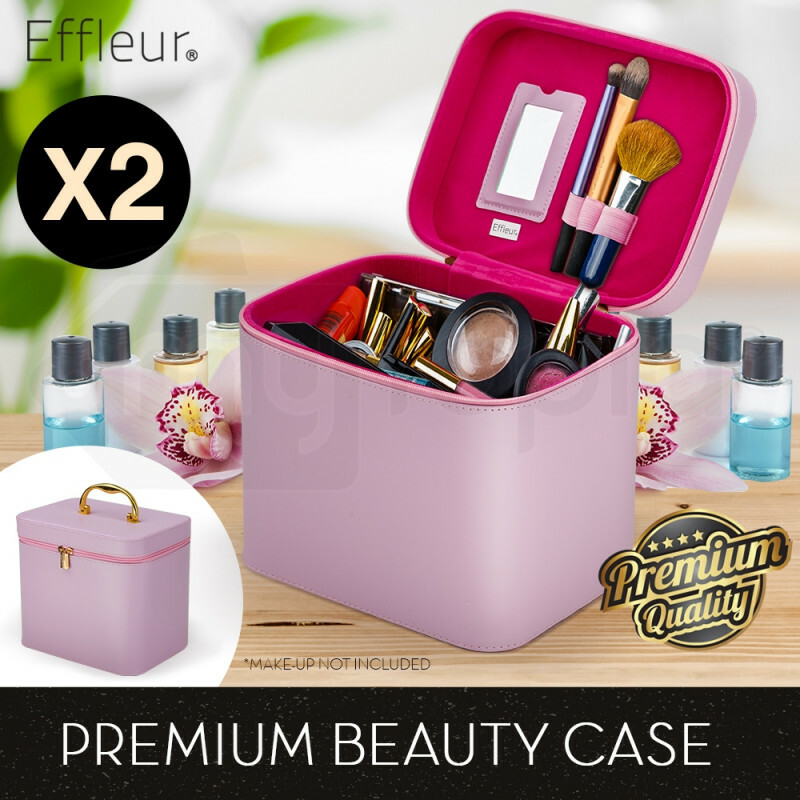 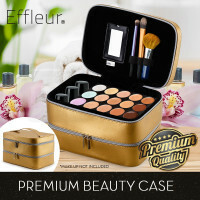 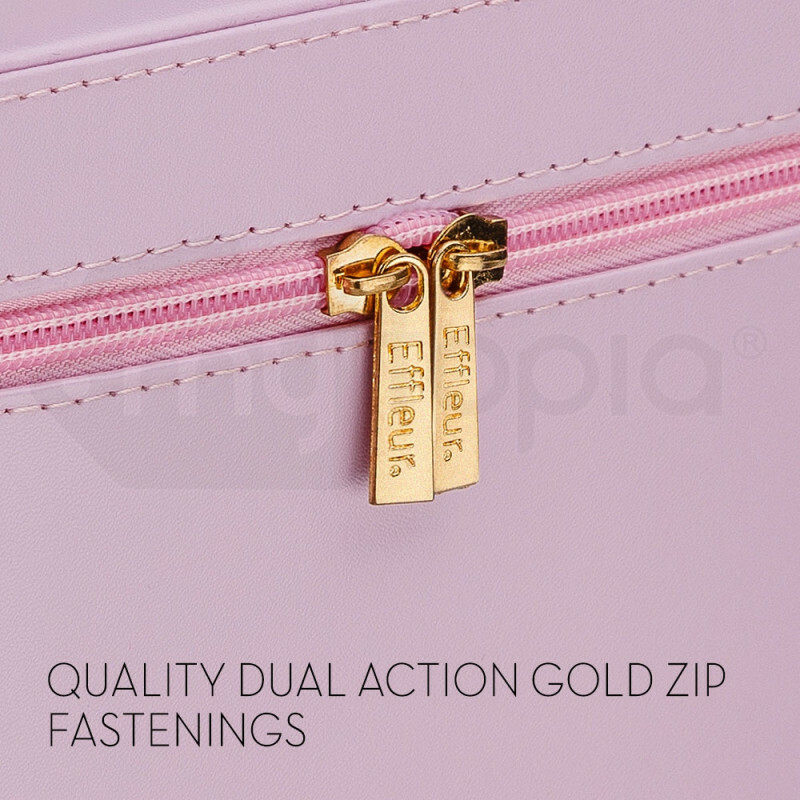 The Effleur Portable Beauty Case is a marriage of style and substance with its premium faux leather construction and durable gold handle. 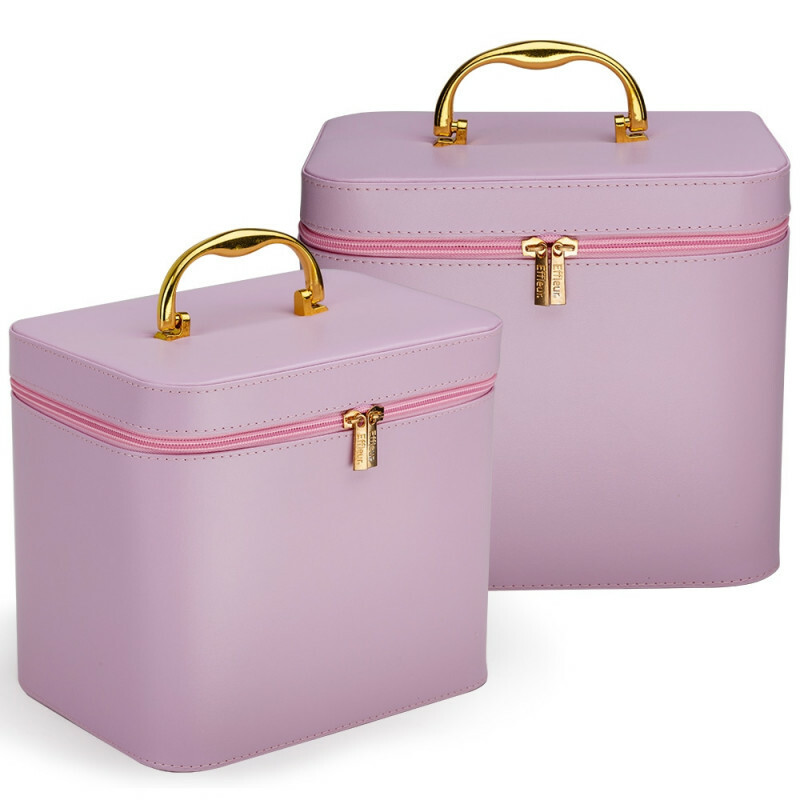 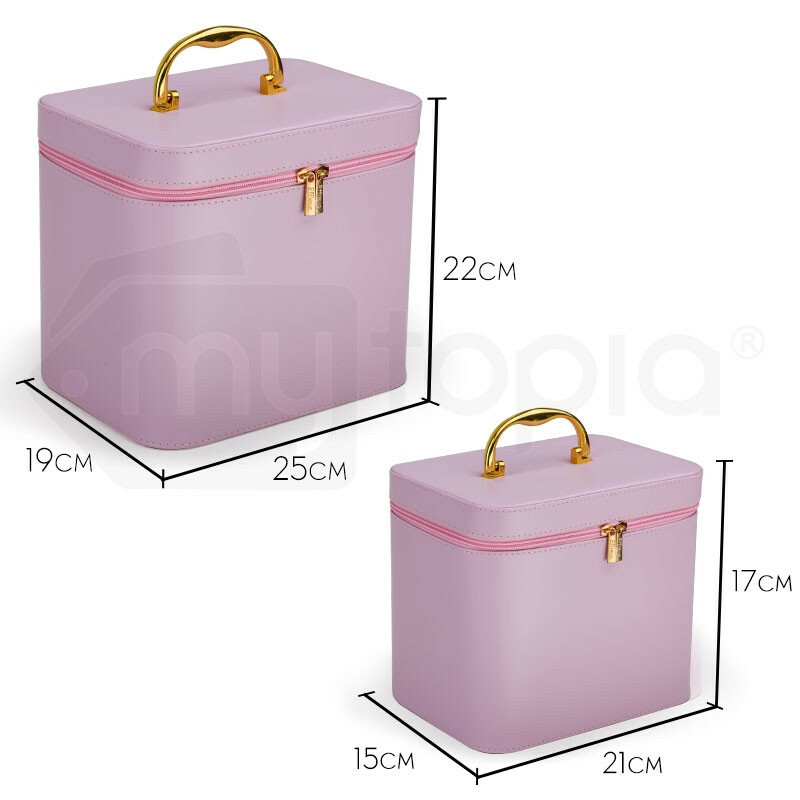 This beauty case looks just as good inside with elegant suede lining. 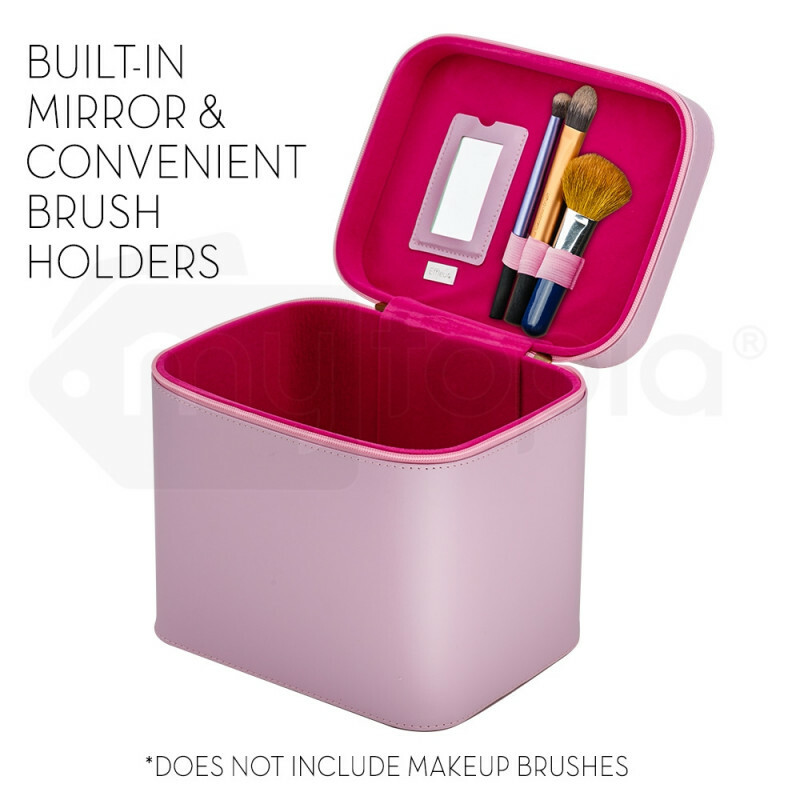 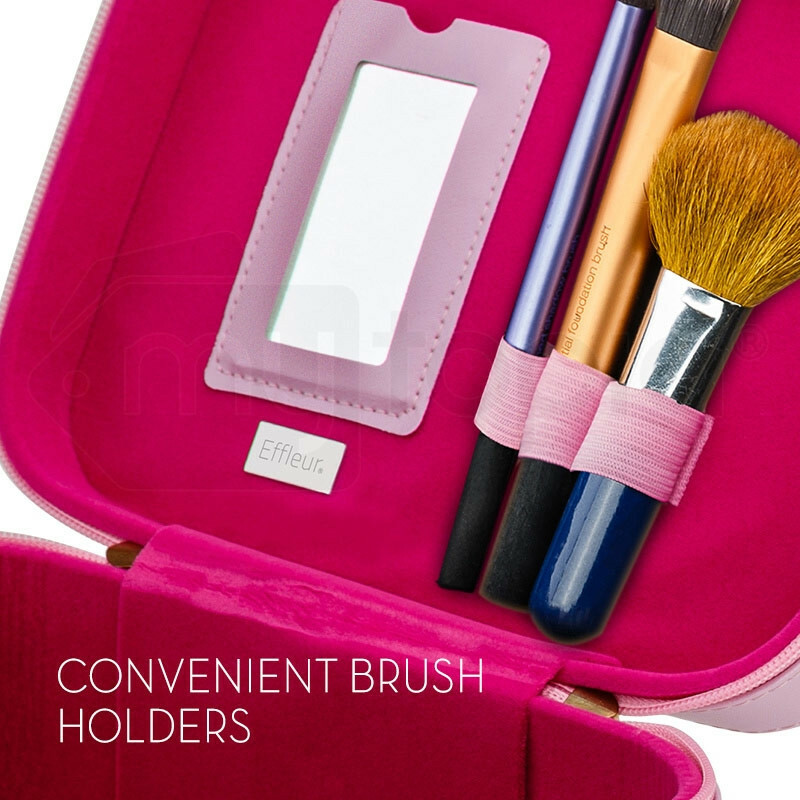 Primp while on the go with the convenient in-built mirror. 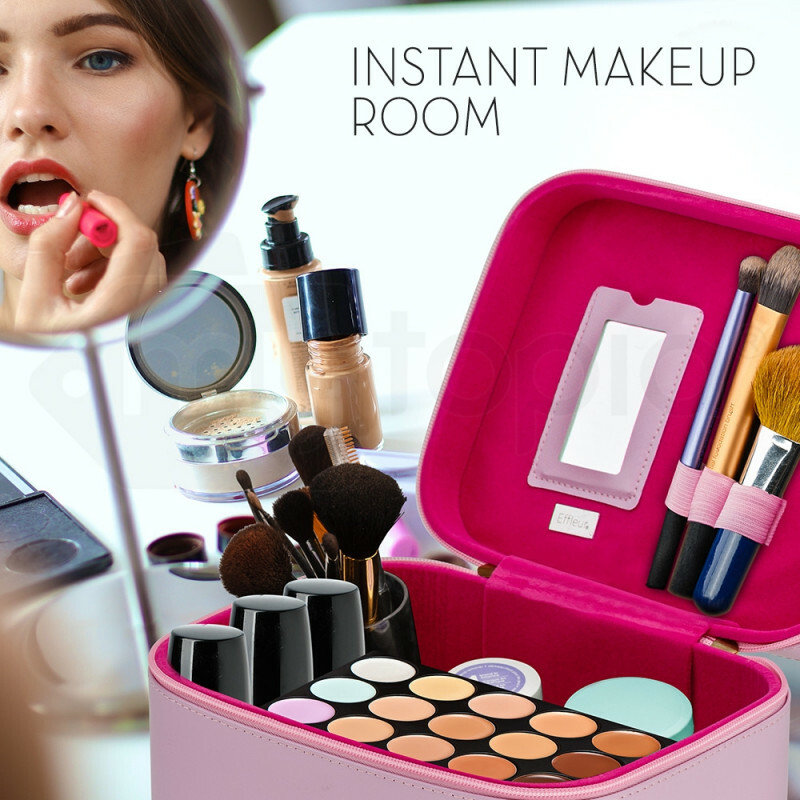 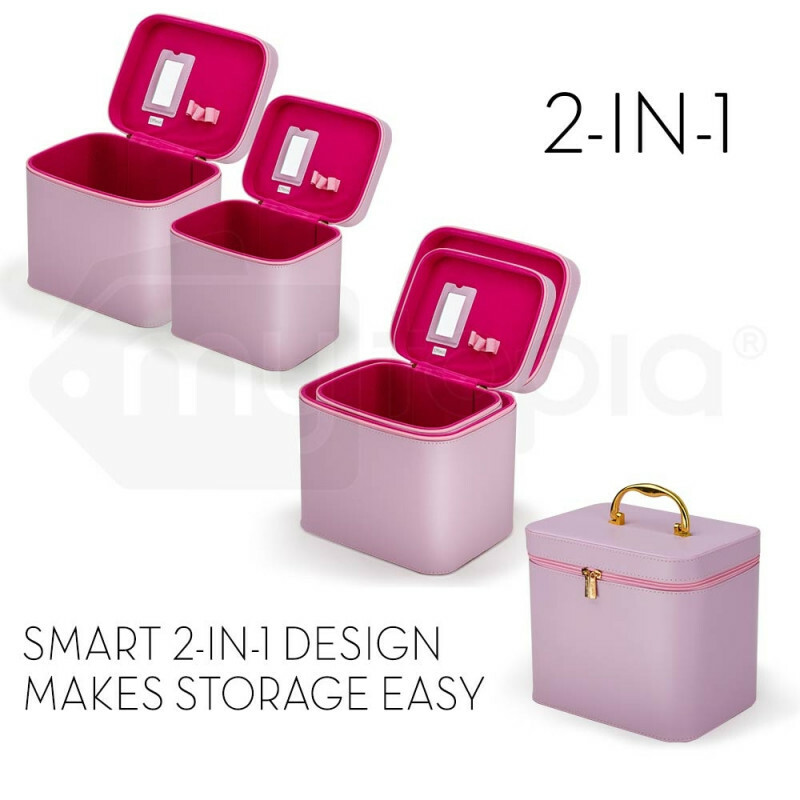 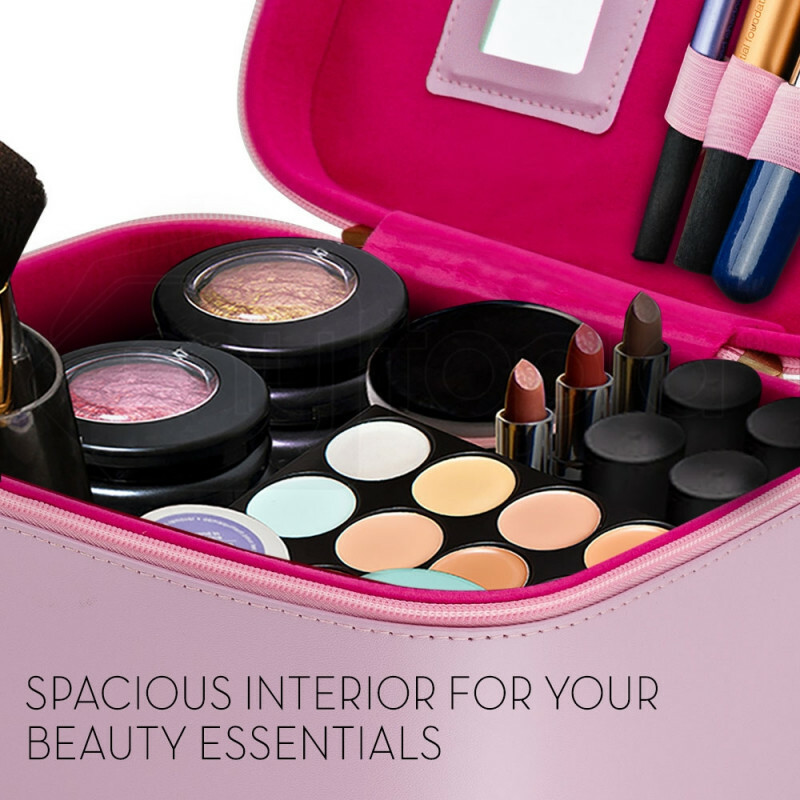 Organise your cosmetics collection.